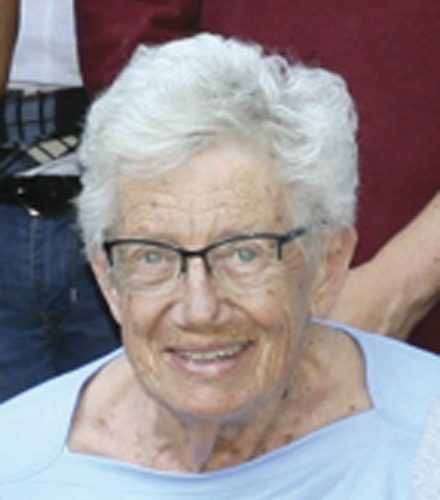 Beverly R. Holland, age 84 of Tracy, passed away Monday, October 1, 2018 at Sanford Tracy Medical Center in Tracy. Funeral Services will be held at 10:30 a.m. Friday, October 5 at Lake Sarah Lutheran Church in Garvin. Private family burial will be prior to the service on Friday. Visitation will be 4:00-7:00 p.m. Thursday, October 4 at Tracy Area Funeral Home. Memorials are preferred to Shetek Lutheran Ministries or the Tracy Murray County Hospice House. Online condolences may be sent at www.stephensfuneralservice.com. Stephens Funeral Service – Tracy Area Funeral Home is assisting the family with arrangements. Bev is survived by her children: Greg (Janet) Holland of Garvin, Lynn (Lane) Larson of Billings, MT, Paul (Karen) Holland of Gilbert, AZ, Kathryn (Wade) Schmidt of Garvin, Mike (Sheila) Holland at the family farm near Garvin; grandchildren: Wade, Erica, Lee, Luke, Ashley, Bryce, Bo and Carly; eight great-grandchildren; sister Carmen Murphy of Billings, MT and many other relatives and friends. She is preceded in death by her parents and husband Thomas.